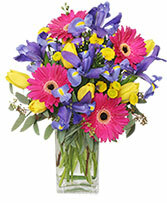 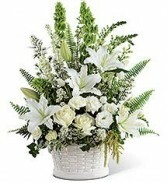 The FTD® In Our Thoughts™ Arrangement is a symbol of pure peace and caring kindness. 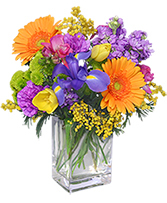 White roses, tulips, freesia, Oriental lilies, double lisianthus, monte cassino asters, and snapdragons, are beautifully offset by bright green Bells of Ireland, ivy vines, and an assortment of lush greens to create an elegant display that conveys your deepest sympathies for their loss. 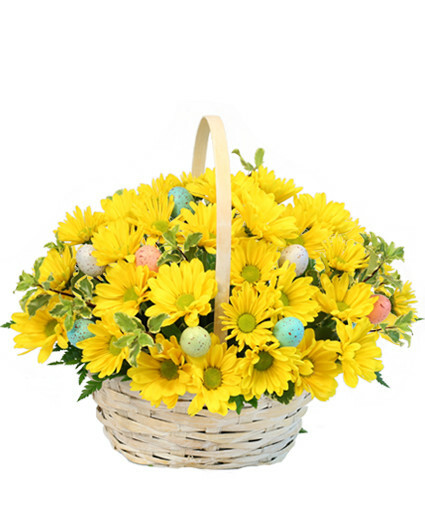 Arrives in a large round whitewash basket.